This came over the wire from Supervisor Bill Campbell’s office yesterday. If you don’t know about the the stand some Orange County city council members in various cities are taking against abuse of your tax dollars, then you will be happy to read a great article on Rancho Santa Margarita City Councilman Jesse Petrilla in the OC Register, which you can find at http://www.ocregister.com/news/petrilla-346622-benefits-council.html. Councilman Petrilla is demonstrating great courage in bringing the issue of outsized City Council benefits to the forefront. Few of us mind that City Council members get a reasonable monthly stipend for their service to their respective cities. It can often be long, hard, and thankless hours of work for those truly committed, so they deserve a token of appreciation from the taxpayers whom they serve. However, many City Councils across Orange County have taken advantage of taxpayers by voting themselves benefits that are only appropriate for full-time employees, particularly health benefits. In my own city of Tustin, City Council members receive full healthcare benefits, which is perverse in my view because such a benefit can entice people to run for the wrong reasons. Yet Rancho Santa Margarita is particularly egregious, since benefits in excess of $65,000 not used during a term served can be placed in a retirement fund to be used later. This should have us all outraged, so kudos to Petrilla and also Mayor pro tem Steve Baric for standing against such madness that would greatly benefit them financially. The purpose of being on City Council is to serve and to give back to the community, not to benefit financially. Both Petrilla and Baric have voluntarily opted out of receiving all benefits, and are proposing that the entire City Council vote to officially end them, following the lead of the Orange City Council. The Orange City Council voted to permanently end stipends, healthcare benefits, and retirement benefits late last year. They are to be applauded for their courage as a council, and I would extend this as well to Councilmen Petrilla and Baric. Tustin would do well to do the same, and I hear there are rumblings this may happen. On Wednesday, the Rancho Santa Margarita voted 3-2 to postpone action on ending council benefits (not exactly unexpected), so we will continue to watch this story as it develops and report back soon. Much time and effort has been exerted discussing Travis Allen’s political donations. I have finally had a chance to sit in front of a computer and pull up his donations. By actually taking the time to look into his donations history, I have discovered that he has a long history of supporting conservative causes and candidates. 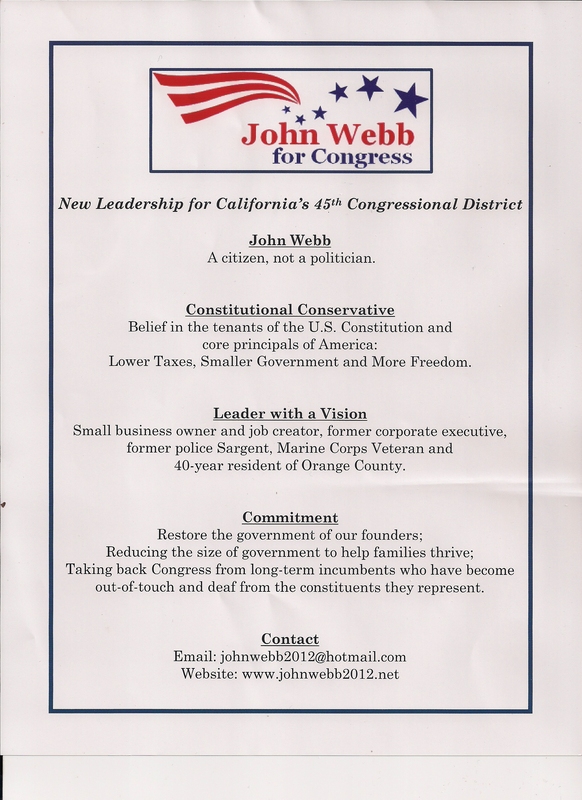 His donations show that he is a dedicated conservative and freely gave his financial resources to fight for the cause. Here are just some of the many donations he has made to Republican candidates and groups. Overall, I have been able to find over $20,000 in donations to conservatives and only a couple grand in donations to democrats. The facts clearly show that he is a conservative, has donated 10 times more to Republicans and is actively involved with conservative candidates and causes. Often when business owners run for office their opponents will dig up some contributions they have made to the opposite party and attack them for it. For example, Meg Whitman savaged Steve Poizner with some minor contributions he had made to Democrats. This did not make Meg Whitman a better conservative than Steve Poizner. She just had more money to waste on attacking Poizner. Unfortunately, her wealth was of no help to her in against Jerry Brown. 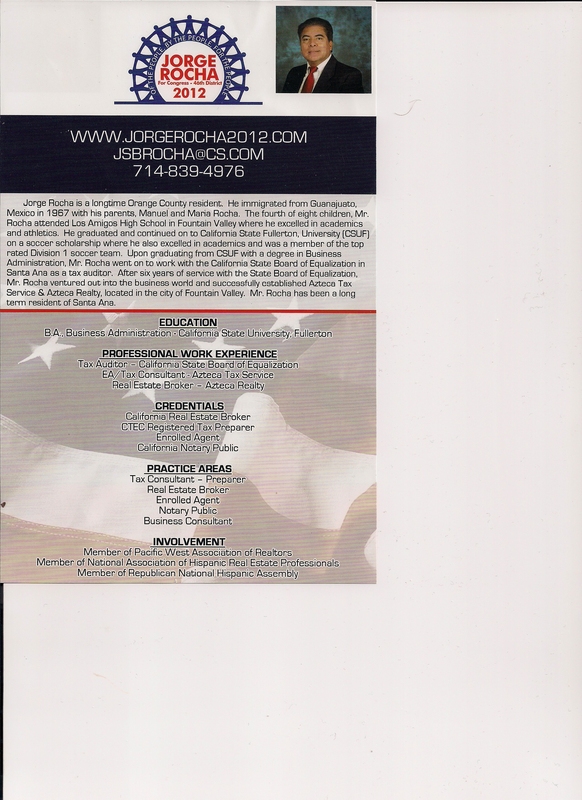 She not only lost, but was also a drag on all the other Republican candidates in California. When electing someone for the 72nd Assembly District, we should ensure that we do not elect another Meg Whitman by supporting the wealthiest candidate. We should elect the individual with the best history of being a Republican, supporting conservative candidates and fighting for our ideas. If being a lifelong Republican and having a conservative donation history is to be taken into account, Travis Allen is clearly the best person to represent and fight for conservatives. Jerry Hayden dominated the endorsement for the 46th Congressional District garnering 11 of the 12 votes cast in this race.